Utahns move more than most Americans. Why? Think Latter-day Saint missions and a young populace. Trent Nelson | The Salt Lake Tribune Missionaries at the Missionary Training Center of The Church of Jesus Christ of Latter-day Saints in Provo on Tuesday, June 18, 2013. Utahns are a mobile bunch. One of every six changed residences in 2017, according to new U.S. Census Bureau estimates released Tuesday. That is higher than the national average — 16.3 percent to 13.7 — and ranks No. 10 among the states. 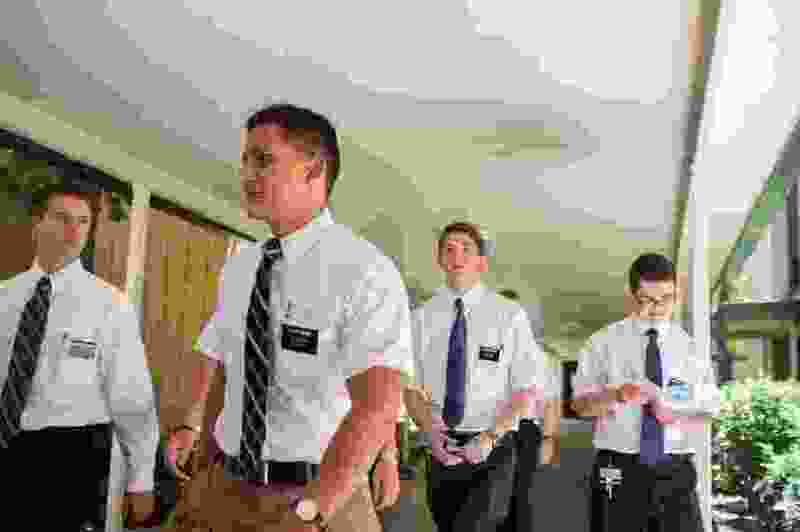 One of the reasons for that is religious: the high number of Utahns who move to serve missions for The Church of Jesus Christ of Latter-day Saints. “That is a cultural imperative that is not present in other places” and helps make Utahns among the nation’s most frequent movers, said Pam Perlich, director of demographic research at the University of Utah’s Kem C. Gardner Policy Institute. Besides that factor, she notes that Utah has the nation’s youngest average age, now just under 31 years old. That means the state has more than the typical share of young people, who tend to be the most mobile of any age group as they shift residences for school, jobs and missions. The new census estimates also show from where most new Utahns are arriving, and where former Utahns are migrating. California tops both lists, at least for movers within the nation (but more actually arrive from abroad as a group than from California). Estimates say nearly 500,000 Utahns in 2017 had moved somewhere in the country during the previous year — and about 400,000 of them simply moved within the state. Nearly 100,000 moved to Utah from other states. Additionally, the census estimates that nearly another 25,000 arrived in the state from outside the country. Among those arriving from abroad, Perlich said it is difficult to untangle from the figures how many of them are missionaries returning home, foreign students arriving here to study at universities, and true foreign immigrants. She noted other studies show that the largest number of foreign immigrants to Utah now hail from Asia, after years when Latinos were the most numerous immigrants. The states producing the most newcomers to Utah in 2017 were California, 17,020; Arizona, 8,144; Idaho, 6,742; Texas, 6,536; and Nevada, 5,948. The census estimates that someone moved to Utah in 2017 from every state except four: Delaware, New Hampshire, Rhode Island and South Dakota. Perlich said California has topped that of Utah-bound immigrants list for years because of two factors: It is nearby and has a large population to generate more migrants. She said such factors are why big-population Texas is on the list, and other nearby states. The census estimated that nearly 90,000 Utahns moved to other states last year. California also topped that list — attracting 9,925 Utahns. That was followed by Texas, 9,131; Arizona, 8,594; Washington, 7,603; and Idaho, 7,726. The census estimated that at least some Utahns moved to every state except Kentucky and Mississippi.